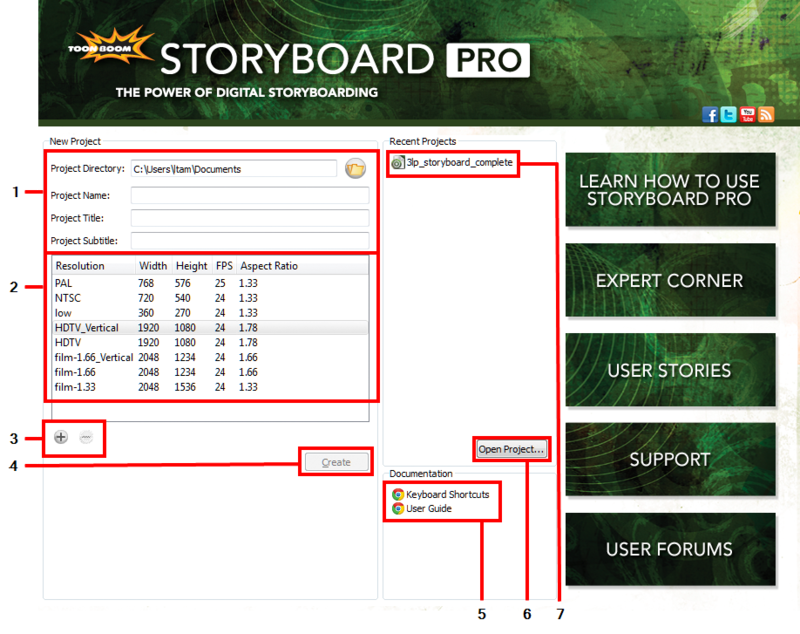 When you open Storyboard Pro, the Welcome screen appears. If a scene is already open, you can display the Welcome Screen by selecting Help > Show Welcome Screen. ‣ From the Welcome screen: In the Documentation section, click a Help document. ‣ Directly in the software: From the top menu, select Help > Help. ‣ Windows: Select Start > Programs >Toon Boom Animation > Toon Boom Storyboard Pro > Documentation. ‣ Mac OS X: Select Applications > Toon Boom Storyboard Pro > Documentation.